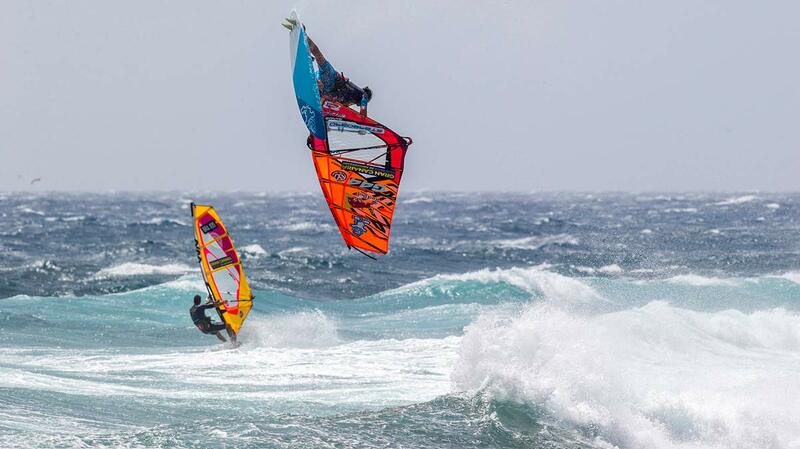 A look back on the 2018 PWA Gran Canaria Wind & Waves Festival. Once again the names of the winners are Daida Moreno and Philip Köster. Daida has been winning every year in Pozo Izquierdo since 2000 – apart from 2012. In 2018 she demonstrated again why she is called the “Queen of Pozo”. Daida showed a great performance during the competition and also in the double elimination final against Sarah-Quita Offringa. Sarah-Quita admitted, she was struggling with the conditions but Daida seemed to feel comfortable on her 3.3m. In the double elimination final against Marcilio Browne Philip Köster produced a world-class jumping performance consisting of an insane 10 point stalled double forward, a Push loop into Forward Loop and a one-handed, one-foot Back loop. And on top of all he tried a Triple Forward Loop at the end of the heat. 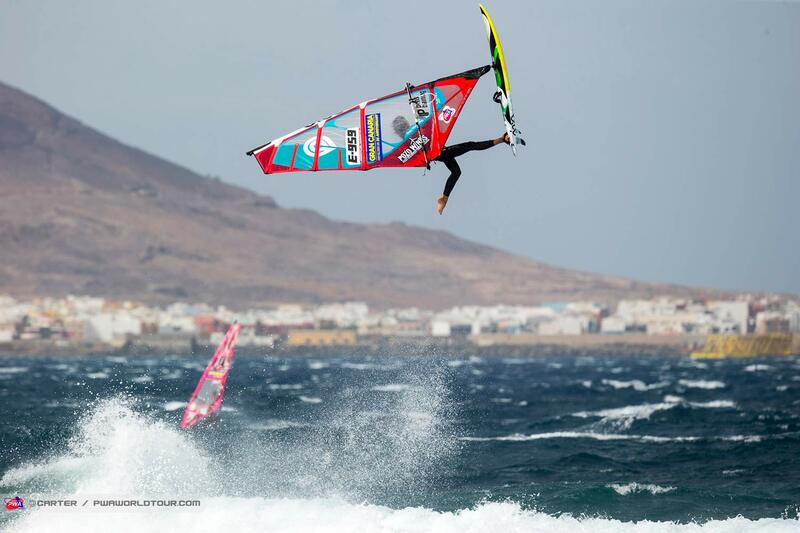 Philip is still the man to beat at Pozo Izquierdo but the heats got closer this year. Iballa and Daida Moreno have been dreaming of equal prize money for the last 21 years of their windsurfing career. Now, as event organizers, they want to make a difference and increased the prize pot for the 2018 Gran Canaria Wind & Waves Festival by 15K, meaning equal prize money of 35,000€ for men and women. Of course they hope other event organizers will follow. The move of the event was Jaeger Stone’s crazy Push loop into Forward loop in the quarter final of the single elimination. It was the highest scoring move of the event and Jaeger scored 11 points for it. Normally the maximum points are 10. But the 11 points were not enough to win over Philip Köster. We had a closer look on the scores of the competition. The Push loop Forward was definitely the highest scoring jump of the competition. Sarah-Quita Offringa and Dieter van der Eyken made the transition from pure freestyle to waves a few years ago. 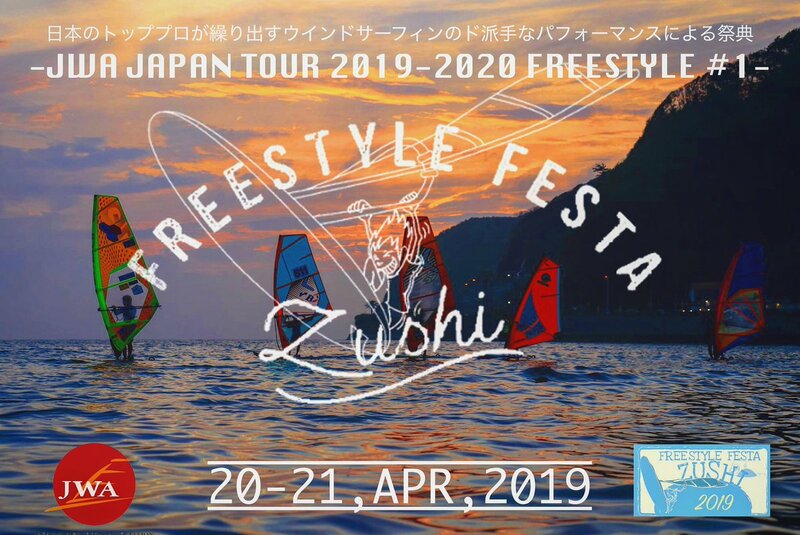 This year we saw more freestylers competing. Gollito Estredo was surprising everybody and finished in 7th position. Dieter van der Eyken finished in 9th. 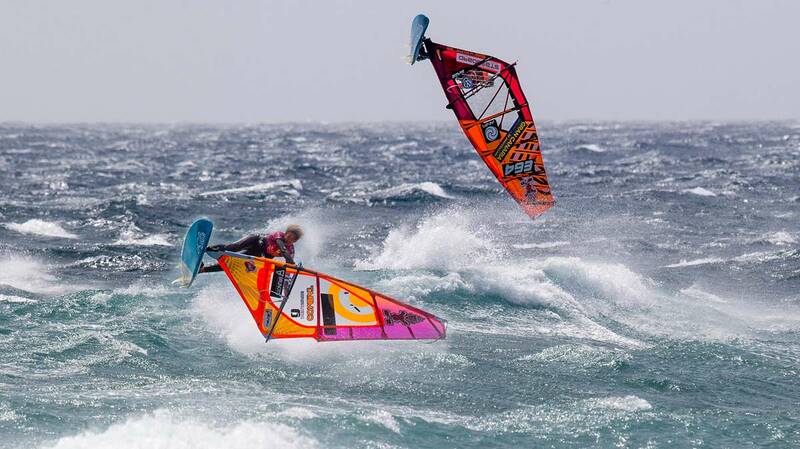 Amado Vrieswijk did his first PWA wave competition and finished in 17th. Francesco Cappuzzo, Jacopo Testa, Antoine Albert were also competing in the men’s fleet. In the women, Sarah-Quita Offringa finished in 2nd. Maaike Huvermann finished in 7th, Oda Johanne and Arrianne Aukes finished in 9th. Alexa Escherich and Birgit Rieger finished in 13th. Victor Fernandez broke a rope of his extension in the semi final against Marcilio Browne and Alex Mussolini broke his mast against Victor in the losers final. By the way Philip Köster won the single elimination with a broken board. He hit a rock with the nose of his board near the bunker but he still managed to win the final against Marcilio Browne. Lena Erdil broke her lisfranc during a flat Forward loop landing and needs a surgery. Lena will be off the water for at least 6 months. Alexa Escherich injured her knee and ankle during a flat Forward loop landing, too. Henri Kolberg, who wanted to compete in the junior competition broke his left fibula during a Push loop landing, had to fly back home and will undergo surgery, too. We wish everybody a fast recovery. Clear leader is Ricardo Campello with 9 sailed heats. Ricardo had a great comeback in the double elimination and finished in 3rd. 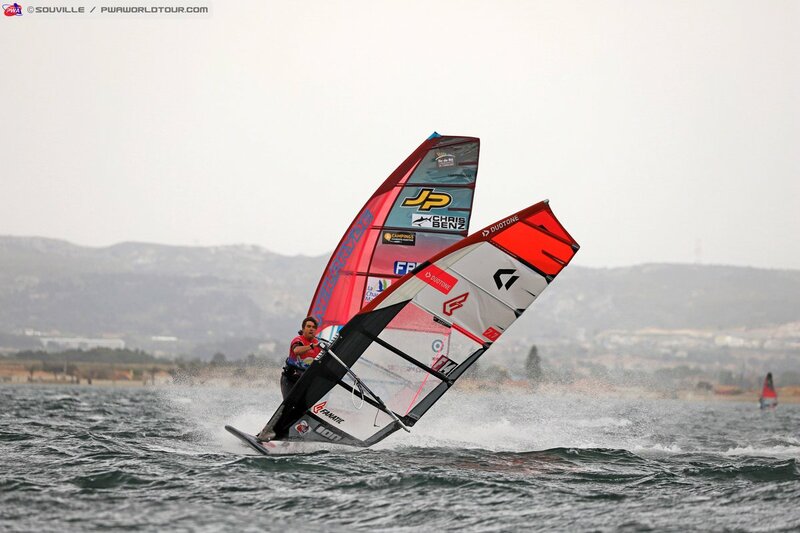 Marcilio Browne, the main contender of Philip Köster, sailed 7 heats, Philip Köster and Victor Fernandez sailed 6 heats. 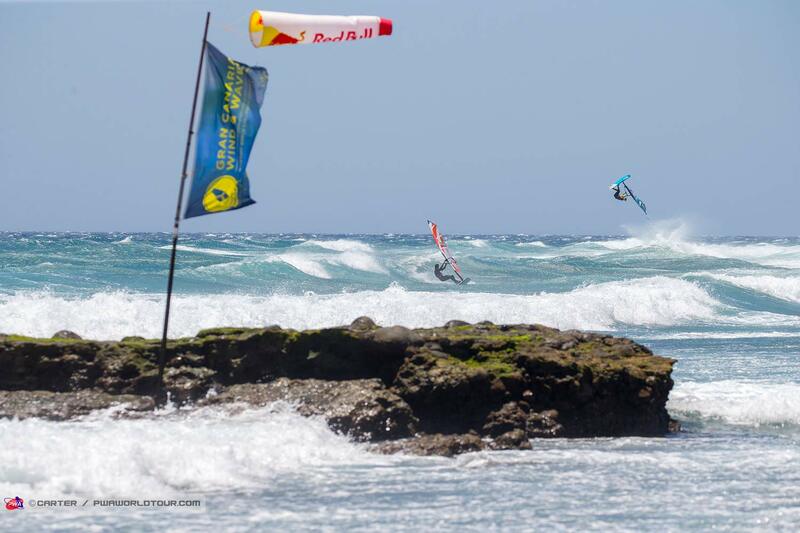 Jaeger Stone, Gollito Estredo and Alex Mussolini sailed 6 heats, too. 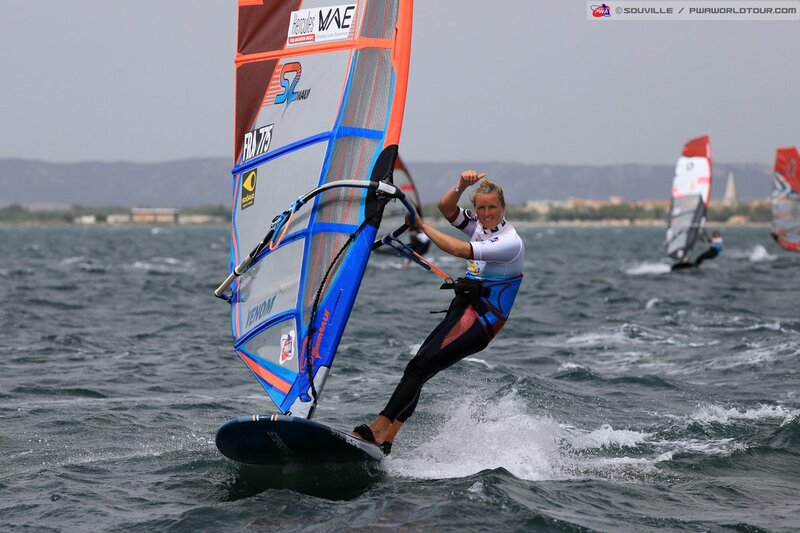 In the ladies fleet Lina Erpenstein and Sarah-Quita Offringa sailed 7 heats, followed by Steffi Wahl with 6 heats. All other top rides, including Daida and Iballa Moreno, completed 5 heats in 2018. 2018 saw the biggest kids and junior fleet ever with 11 girls and 36 boys taking part in the youth wave competition. The youngest competitors were 11 years-old. It was quite impressive how the young rippers performed in 30 knots+ and 2 meter waves. Even the strong shore break did not cause any troubles for them. We saw a lot of new future champions. Windsurfing.TV did a great recap clip featuring the kids only. Mart from the Dutch Motion magazine measured 53 knots at the beach. German wave rider Leon Jamaer told us, it was the windiest PWA competition ever for him, just in Ireland during the Red Bull Storm Chase was more wind. 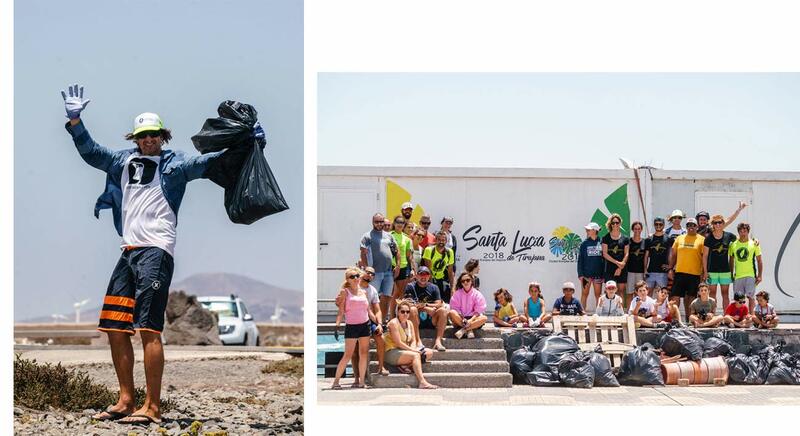 On the final day of the event a lot of members from the local windsurfing club, kids, the Moreno twins, a few journalists and we gathered at the beach to collect all the trash. Props for the beach cleaning. Bravo!